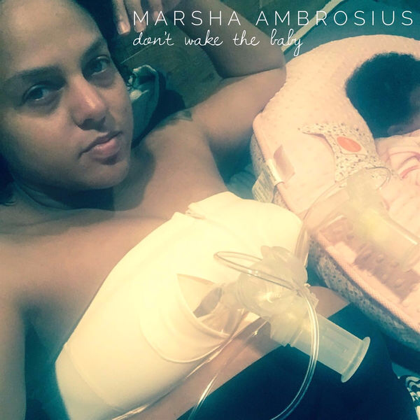 RAW HOLLYWOOD : NEW MUSIC: MARSHA AMBROSIUS "DON'T WAKE THE BABY"
NEW MUSIC: MARSHA AMBROSIUS "DON'T WAKE THE BABY"
Marsha Ambrosius gave birth to a baby girl named Nyla in December of 2016 & she recently announced that she would be embarking on the M.E. tour alongside Eric Benét. Ahead of the tours kick off she has given fans a new track entitled "Don't Wake The Baby". She rap/sings over the melody as she describes the relationship that she has with the father of her child & how being a mother makes her feel sexier then ever before.